This web page is all about unlawful termination settlements in the state of Alaska. It is uncommon for great cases to go to trial, because they mostly settle out of trial. However, if they do not settle, there’s always a trial, where the defendant or the plaintiff will win. The majority of litigation cases incorporate mixed settlements, meaning that they involved one, or perhaps several claims of unlawful termination attributable to gender discrimination, constructive discharge, sexual orientation, gender expression or gender identity discrimination, whistleblower, disability, race, color, national origin, religion discrimination, workplace retaliation, firing in violation of public policy, age discrimination, pregnancy or breach of employment contract. The table which follows shows a snapshot of the various types of cases filed in addition to their respective numbers in AK in 2017. With only 101 total charges in 2017, Alaska has one of the lowest number of wrongful termination and discrimination claims in the US. The Americans with Disabilities Act (ADA) protects not just existing employers, but also prospective hires as well. This was the case with Eric Yanusz, who applied for a donation attendant position at The Salvation Army’s Wsilla thrift store. The job was an entry-level position, and required no prior experience. It involved accepting and sorting donated clothing and household items. The victim has an intellectual disability, but had completed high school, a follow-up job readiness program, and finished three internships already. He had also held a part-time job at a local church prior to applying for the Salvation Army position. Yanusz was rejected after the second interview, due to unfounded concerns about his ability to interact with the public. This violates the ADA. Deborah Chang-Craft worked for Alaska Airlines as a customer service agent. She was a Union member and was employed on a collective bargaining agreement. In 2003, she was suspended from her job without a union representative being present. She was fired 1 week later in writing. The reason for the termination was a conversation she had with a co-worker (William Cameron), where he alleged that Chang-Craft said she would shoot others, if she had a gun. After receiving the termination letter, Chang-Craft submitted a Grievance, Suspension, and Discharge Appeal to the Union, alleging that Alaska Airlines failed to conduct an impartial investigation of the incident and wrongfully terminated her. The Union submitted the grievance to Alaska Airlines, but withdrew it several times for no apparent reason, without reviewing any facts. Constance Rosebrock was subjected to sexual harassment by her supervisor (Rick Rorick) at VECO Inc. subsidiary Arctic rentals in 1991. She also claimed that she was sexually assaulted by another VECO employee (Bill Drops). After reporting the incidents to her supervisors, she was laid off. The EEOC filed a lawsuit on behalf of 5 workers, who were laid off due to unlawful age discrimination. They have worked for Providence Alaska Medical Center, the largest hospital in Alaska, for between 22 and 24 years. The victims, Lawrence Harris, Gola Anderson, Rebecca Petrie, Milagros Lopez & Canijie Sadiku, were fired after a restructuring of the hospital’s operating room. The employees ages were between 46 and 56. After they lost their jobs, they were replaced by new hires in their 20s and 30s. This is a violation of the Age Discrimination in Employment Act (ADEA). Nathaniel Todeschi v Sumitomo Metal Mining Pogo, LLC. Todeschi started working as a a mine supervisor at Pogo Mine in 2005, responsible for the safety and production targets of up to ten employees. He spent a large part of his workday underground, traveling up to 30 miles in the mine during each 13-hour shift. The tractors provided by the company for traveling underground had minimal suspension, which caused Todeschis’s back injuries. He required several surgeries for his injuries. After returning to work, he was given a desk job within a special project. When the project was completed, he had to return to his supervisor role underground, driving the same tractors that caused his back injuries. Todeschi sent an email asking for other means of transportation. The company sent Todeschi for an independent medical exam, which concluded Todeschi was not able to meet the lifting requirements of the job, and should be provided a truck as an accommodation. Sumitomo Metal terminated his employment, stating Todeschi could not perform his regular job. Blakeslee v Shaw Environment and Infrastructure Inc.
Paul Blakeslee worked as a facility manager for Shaw Inc. in Fort Richardson and Fort Wainwright. A sourcing agent revealed to Blakeslee that the company’s project manager owned 1/3 of a private company that was leasing equipment to Shaw Inc, often without competitive bidding. Blakeslee thought this was a clash of interest, and began writing a letter to the CEO to inform him of this. The project manager learned about the letter Blakeslee was about to write, and threatened to fire him on a Friday. He fired him the next Monday. Blakeslee sent the letter to the CEO regardless. As a result of the company investigation into the matter, the project manager was terminated. However, Blakeslee was not rehired by the company. On behalf of Lee Fladmo, the EEOC sued Banner Health, one of the largest non-profit health care systems in the country, for failing to accommodate his disability and wrongful termination. Lee Fladmo had worked for the employer as a kitchen aid for 21 years. Fladmo has an intellectual disability, but he could perform his job. During the course of his employment, he had made numerous requests for reasonable accommodation. They were all ignored. In 2002, he filed a discrimination claim, which was settled by entering a mediation settlement. 3 years later, Fladmo made another request for an accommodation, which was again refused. The employer breached the terms of the mediation settlement, and ultimately fired Fladmo. When considering our listing of unlawful termination settlements from Alaska, take into account that the bigger amounts of money are because of punitive compensation. Punitive damages are handed out to discourage employers from engaging in the same type of inappropriate behavior. Punitive damages are relatively infrequent. A good number of court cases will settle for about $10,000 to a couple of hundred thousand dollars. 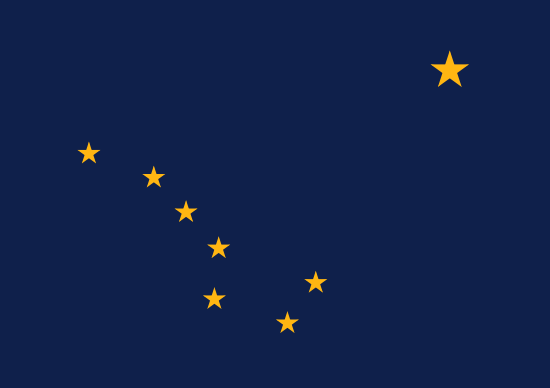 This unique selection of wrongful termination verdicts and settlements in AK was created for informative purposes. Even though you may feel resemblance to any of these cases, keep in mind that each and every single situation is unique. What is the average wrongful discharge settlement in Alaska? If you think you were wrongfully terminated, it’s understandable that you might want to find out the amount of money you can expect to be given for your wrongful dismissal lawsuit. If you come to an agreement with the employer (or win your trial), the amount you receive is largely determined by these factors: medical expenses, benefits lost, the costs of finding a new job, lost earnings, emotional distress and reason of discharge. Punitive damages could also be awarded in rare situations, in the event the company behaved egregiously. As you can see from the sample cases in this article, giving a median settlement for unlawful discharge cases in AK is challenging, as each and every claim is different. The average wrongful termination settlement in Alaska is between $5,000 and $80,000. Legal professionals are effective in working out a higher settlement. The typical jury awards are higher, around $80,000 to $500,000. This is one of the reasons companies like to settle before going to court. Before anything else, you will need to consult with a wrongful termination lawyer in Alaska to find out whether or not there is a case worth going after. Do not put it off, there are deadlines to filing wrongful dismissal claims in Alaska. Second, you’ll most likely need to submit a timely claim with the Alaska State Commission for Human Rights (FEPA). They are contracted with the EEOC. Here are a few guidelines on filing a wrongful termination lawsuit.